Earlier this month, it was revealed that Samsung is gearing up to launch its first Tizen-powered smartphone soon, starting with India as the initial launch market. Previous rumors suggest that Samsung is expected to launch the budget-friendly Samsung Z1 on January 18th in India, with an estimated price tag of under $90. We’ve already seen the Samsung Z1 in live photos, but if those weren’t enough for you, a new set of images have made their way on to the internet. 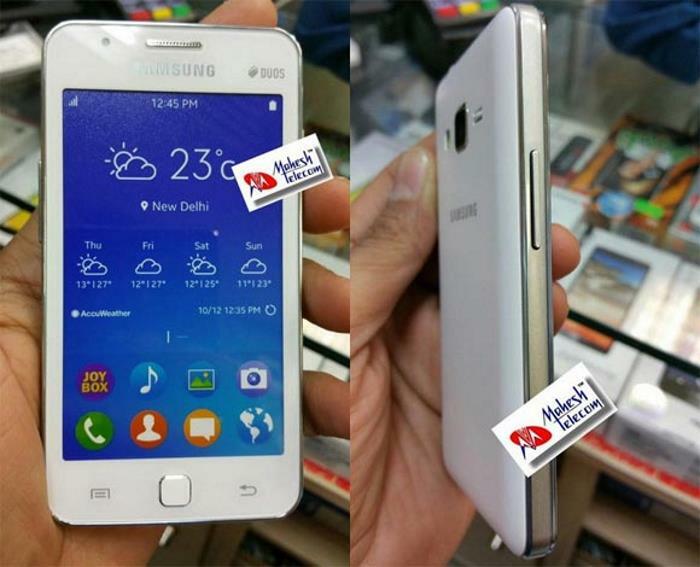 As per previous leaks, the Samsung Z1 is expected to feature a 4-inch display sporting a resolution of 800 by 480 pixels, dual-core 1.2GHz processor paired with 768MB of RAM and 4GB of expandable internal storage. The handset is also expected to feature a 3MP primary shooter for photos and videos as well as a VGA front-facing camera, a 1,500 mAh battery, 3G, Wi-Fi b/g/n, Bluetooth 4.0, GPS, dual-SIM support, and runs Tizen 2.3 as its operating system out of the box. The handset is expected to see the light of the day next month in India, followed by China and South Korea with an extremely affordable price tag. What do you think about the Samsung Z1? Can it stack up against all the cheap droids which are dominating the market?